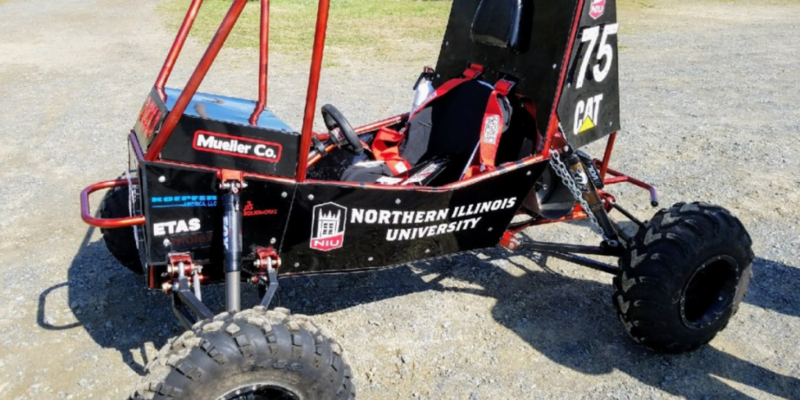 Koepfer America proudly supports the Northern Illinois University’s team for Baja SAE 2018. The team is currently at competition in Mechanicsville, Maryland, and we wish them the best of luck! Baja SAE® consists of competitions that simulate real-world engineering design projects and their related challenges. Engineering students are tasked to design and build an off-road vehicle that will survive the severe punishment of rough terrain. Each team’s goal is to design and build a single-seat, all-terrain, sporting vehicle whose structure contains the driver. The vehicle is to be a prototype for a reliable, maintainable, ergonomic, and economic production vehicle which serves a recreational user market. All vehicles are powered by a ten-horsepower Intek Model 19 engine donated by Briggs & Stratton Corporation. For over forty years, the generosity of Briggs & Stratton has enabled SAE to provide each team with a dependable engine free of charge. Use of the same engine by all the teams creates a more challenging engineering design test.